Our Mineral Sea Salt Soak has been specially formulated for maximum skin care benefits, combining naturally therapeutic ingredients for a soothing, indulgent bathing experience. These beneficial bath salts soothe away stress and bring a sense of peace and relaxation. Helps improve skin's texture and leaves you feeling spa radiant! 100% sea salt, vitamin E oil, lavender essential oil. Add 1 cup to tub for body soak or 2 table spoons to bowl for hands/feet soak. Let soak for 5 - 10 minutes. Pat dry. There is nothing more wonderfully relaxing - - and even recharging - - than soaking in a warm (or hot) bath with a good book at the end of a long day or weekend. Normally more choice goes into the book selection than what goes into your water. No longer. 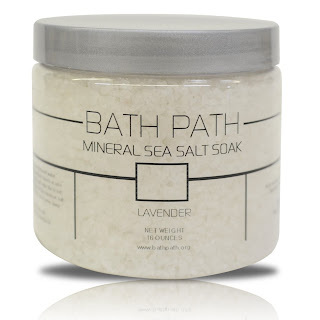 Bath Path Mineral Sea Salt Soak was fantastic. I used less than the recommended cup and my bathroom was immediately immersed in a soothing lavender scent. I found soaking to be incredibly calming, between the wonderful smell and the softness of the water. With or without a good book, with or without candles, each time I used this sea salt soak it did me a world of good. As promised, it soothed away stress and left my skin extremely soft and smooth. I suffer from back and neck pains and my muscles felt relieved after use. Additionally, there was no tub stain. 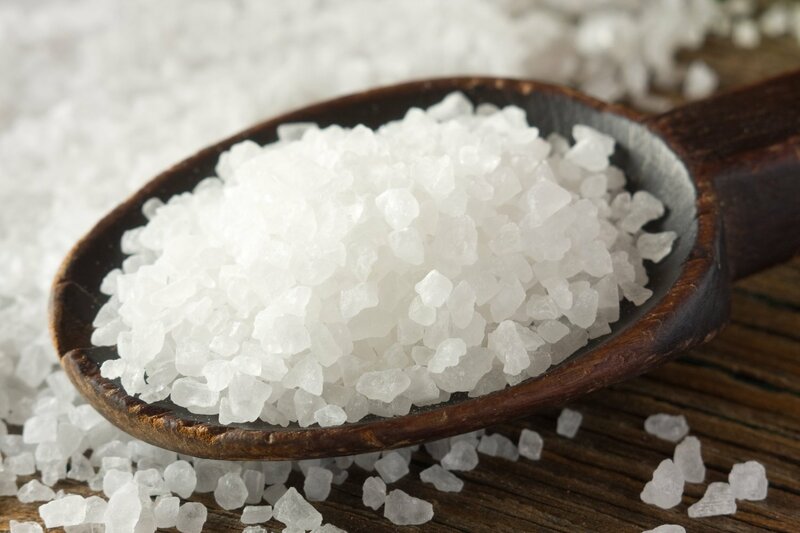 If you suffer from muscles aches, high stress and/or problems sleeping, Bath Path Mineral Sea Salt Soak may be the answer for you. Be forewarned that using the suggested dosage will take half your jar, only giving you 2 soaks. I used a quarter to a half of the suggest dosage and found it worked just fine for me and let me stretch out use of the soak. If you enjoy a good bath and lavender, you simply cannot go wrong with this product. It's fantastic for personal use and would also make an excellent gift. I wouldn't hesitate to recommend it. 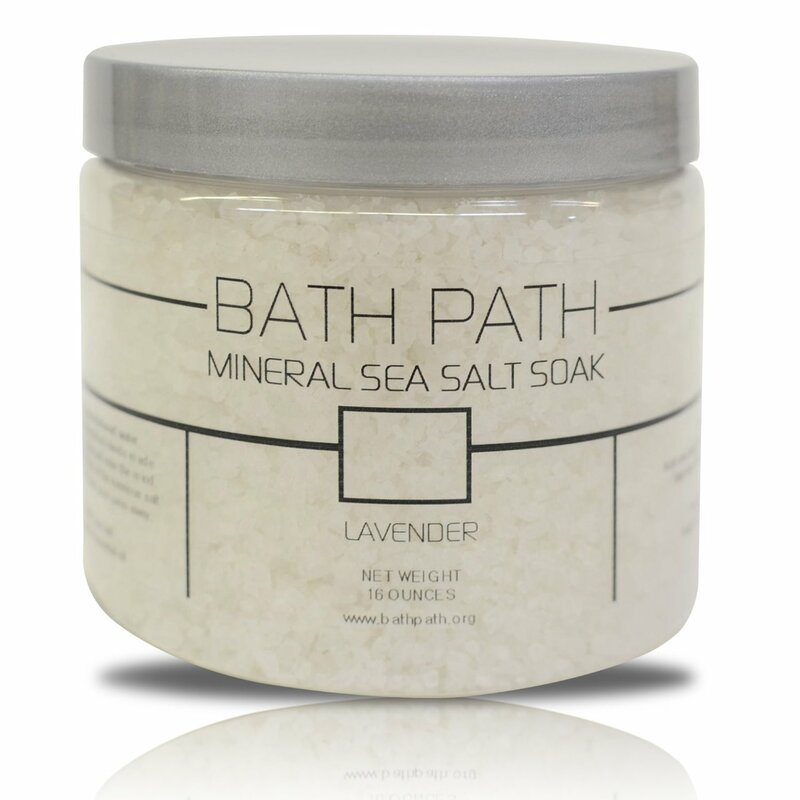 Bath Path Mineral Sea Salt Soak is available for purchase through Amazon. I am an Amazon affiliate. If you make a purchase through my link, I will receive a small commission. FTC Disclosure: This product was provided to me free of charge by the manufacturer in exchange for a fair and honest review. In no way did the provision of this product affect the outcome of my review.